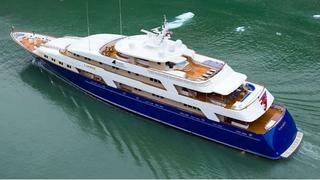 Laurel has logged more than 120,000nm all while being home to a crew of 25, plus owners and guests. Built under conditions of secrecy for experienced owners, the 73.1m Delta Laurel held a notable number of superlatives at her launch in 2006, among them the fact that she was the largest yacht built in the US in 75 years. She was also the first yacht of her size to feature an entirely composite superstructure from the main deck up. Today, after being shielded from the public eye for nearly six years, one additional superlative surfaces:Laurel is one of the most functional and well-designed large yachts on the water. 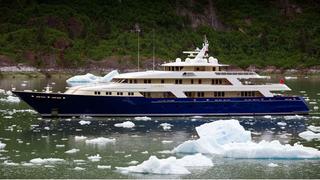 Six years ago, Delta Marine Industries quietly delivered the superlative superyacht to her owners, and without fanfare she disappeared over the horizon, embarking on a trek that would take her owners and her loyal crew on a 120,000 nautical mile adventure to exotic ports of call around the globe. During this time she remained shrouded in secrecy, completely off limits to visitors, wishful charter guests and certainly the superyacht press. As is common with many custom builds, Laurel grew in length as her owners’ wish list expanded. In the early stages she was envisioned at 60m but quickly grew to 67m and then to 69.5m in order to carry her three custom-designed Nautica tenders. At 69.5m, however, her profile, drawn by Donald Starkey, now looked disproportionate to the owner, so he asked for her bow to be extended to improve her rake and sheerline. Adding a swim platform on her stern increased her by another four feet, bringing her to her final length of 73.1m. This progressive length increase had some not-so-obvious, but quite significant, add-on effects: it increased the boat’s draft to 3.7m, which allowed for an efficiently designed tank deck. This deck now serves as the epicentre of a precisely managed yacht.